Galaxy, edge-on Vir 12h52.9 +11°14' 8.7' x 1.6' 10 65 Mly ??? Galaxy Vir 12h52.3 +11°19' 4.7' x 2.6' 10.5 55 Mly ??? 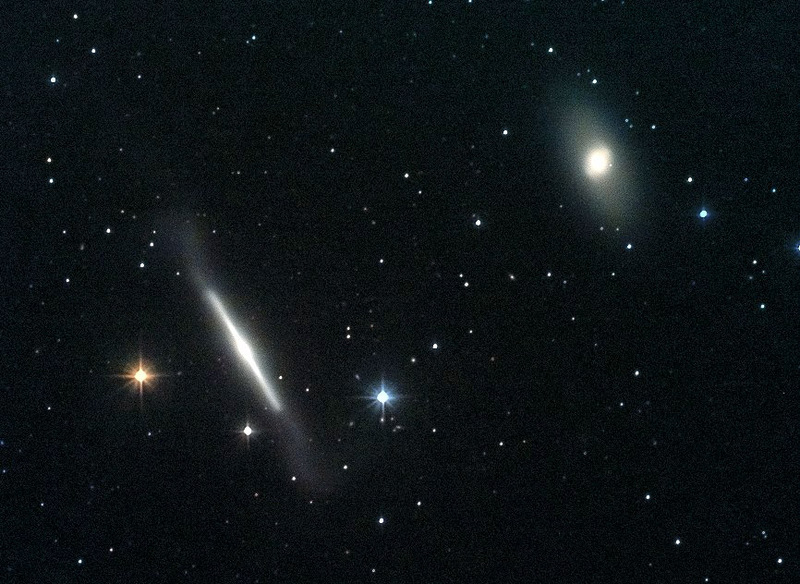 NGC 4762 and NGC 4754 are said to be a pair of non interacting galaxies. They are located in constellation Virgo. NGC 4762 lies at a distance of about 55 to 78 million light-years while NGC 4754 distance is about 53 to 60 million light-years.